Take it back to basics with this midi 2 pack. 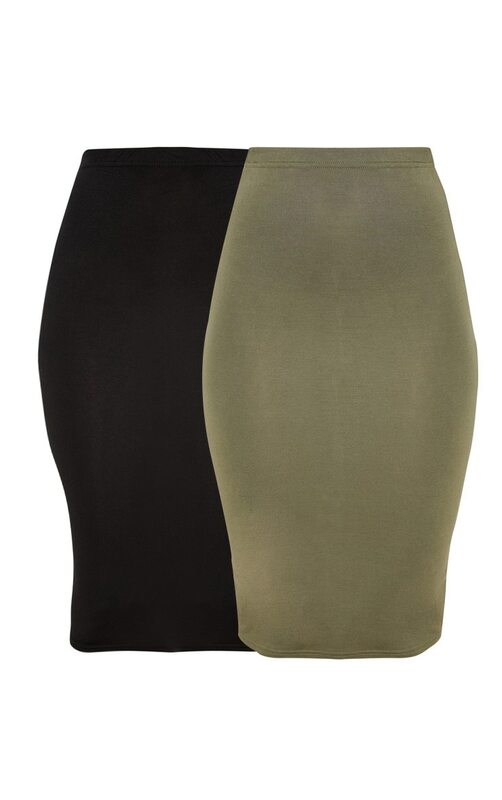 Including a black and khaki midi skirt that features soft curve-skimming jersey material to show off that killer figure. Team it with a basic crop and heeled boots for an effortless style that we're crushin' on.